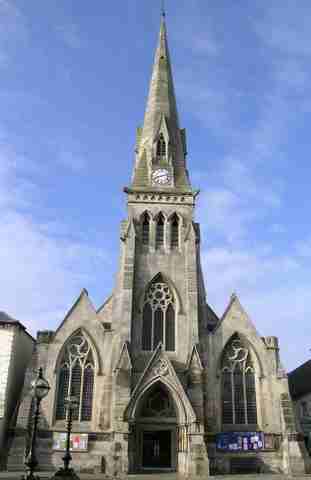 St Ives Free Church (United Reformed) is an active congregation located in the centre of the market town of St Ives in Cambridgeshire. Together with the URC church in nearby Fenstanton, it forms the St Ives Group of Churches. The churches meet regularly for worship and fellowship. The Free Church runs a well stocked Fair Trade shop (Just Sharing) and a friendly coffee shop (Tookeys). The buildings are used by many community groups. Read our latest Church Magazine Inspire. We are now on Facebook! Please click on the link below to visit our page. Prayers are said daily (Mon - Sat 10.00 - 10.15am) in our porch chapel.